A general purpose tape. Its aggressive adhesive and quick release make it an ideal choice for fully and semi automatic carton sealing machines. 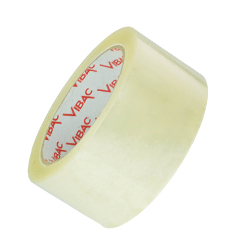 All machine length rolls (990m) are 28mu; Vibac code 105. This products high performance and versatility make it one of our best selling ranges.